Synopsis:Young Australians clash with English traditionalists on 1 January 1901, the day the Commonwealth of Australia breaks away. Synopsis: The great Australian journalist, G.E. Morrison fights to establish the Chinese republic. Synopsis: Doyen of Australia’s bushrangers, Frank Gardiner has one last great adventure in his exile in San Francisco. Synopsis: Love and betrayal as young Bob Page and his mates strike a blow behind the Singapore lines of the Japanese invader. A Debt of Honour – Film Concept for an Australian-Korean co-production. Synopsis: A Korean family repays a debt of honour to an Australian soldier caught in a vicious drug ring. Songs of the Southern Moon – Extended Treatment for an Australian-Chinese television mini-series. 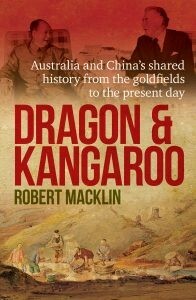 Synopsis: Three generations of a Chinese family in love and war in both Australia and China. Bravest of the Brave – Extended Treatment for Television Series Synopsis: The stories of twelve of Australia’s bravest Victoria Cross winners. The Great Aussie Pie – Extended Treatment for Television Series Synopsis: The amazing history of the unique comestible and a contest for the finest Australia has to offer. Bushranger Country – Extended Treatment for Television Series Synopsis: The wild adventures of six of our most notorious outlaws. Synopsis: The SAS’s top sniper tells of his remarkable life story and for the first time breaks the news of the biggest Australian military engagement since Vietnam. Synopsis: We explore the extraordinary relationship between Shakespeare and the man most now believe was the subject of the Sonnets. Synopsis: Two couples in a retirement home struggle with their ‘golden age’ crisis. the further you carry your load. ‘Cause that’s the best revenge. I got those Friday night, outa sight blues. I got those Friday night blues. Got those Friday night, outa sight blues. ‘Cause you light my fire in the blood. Cause you light that fire in the blood. This man lives his life alone. She left that boy all alone. No, no man wants to live all alone. No, no, no, no man, wants to live all alone.